Manchester City and England forward Raheem Sterling is a “great example” to us all, says England manger Gareth Southgate. 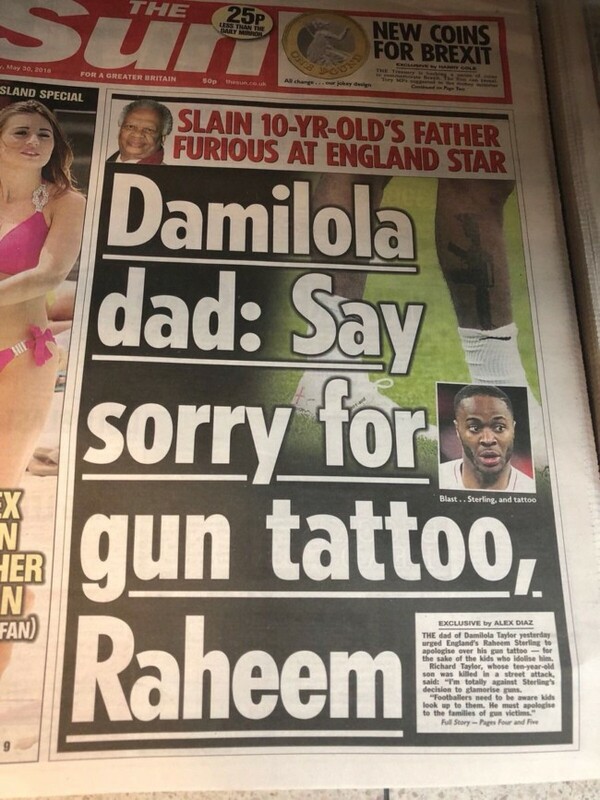 His tattoo of a gun is no-one’s business but his own. 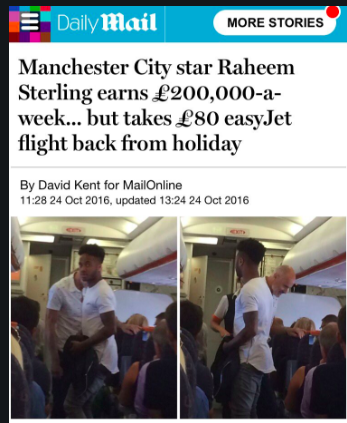 The Sun and other media have been monstering Sterling for some time, focusing on how he spends his money and using his image to illustrate a story on crime. 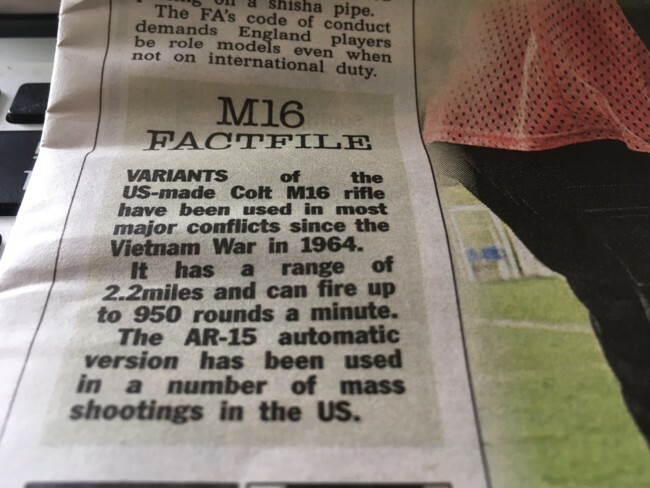 This week the paper linked his tattoo to the Vietnam War and children being stabbed to death. Damiloa Taylor was stabbed to death when he was 10 – and Raheem Steling was 5. 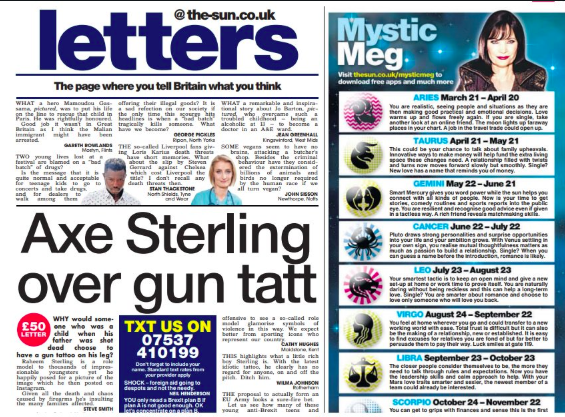 And the Sun’s Star letter is… GET STERLING! Sterling said the tattoo was about his father, who was shot dead. 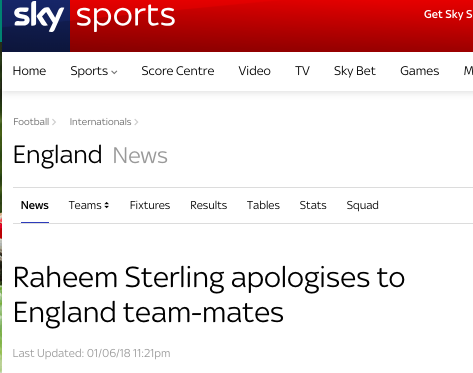 And how does Sky Sports, which corrupted Sterling’s explanation, report on the player: “Sterling apologies to England team-mates.” About the tattoo? No. It;’ nothing to do with any tattoo. So why was he late? Sterling had been given permission to return a day later than the bulk of the England squad to attend to a personal commitment in Jamaica. However, a mix-up with his return flights – which included a stop off in Miami – saw him arrive 12 hours later than agreed. 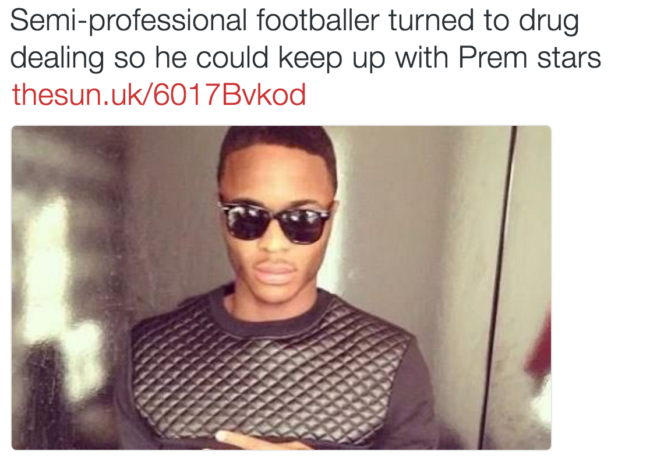 In the Sun tomorrow: Why can’t Raheem Sterling get a private jet like everyone else?